The show opens with a 2:00 p.m. matinee on Sunday, January 16 in the Fries Auditorium of the Grosse Pointe War Memorial, 32 Lake Shore Road , Grosse Pointe Farms. Relatively Speaking continues with shows on January 20, 21 and 22 at 8:00 p.m., January 23 at 2:00 p.m., and January 26, 27, 28 and 29 at 8:00 p.m. Tickets are $18. Group rates are available. 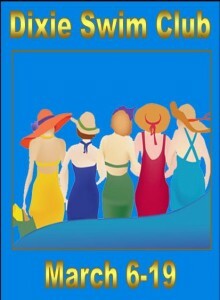 Call 313-881-4004 for tickets or visit the Grosse Pointe Theatre website at http://www.gpt.org for more information. British playwright Alan Ayckbourn considers Relatively Speaking the best play he has written. The farcical plot involves Greg, a young man, who plans to marry Ginny. Greg visits, unexpectedly, the country home of a middle-aged couple, Sheila and Phillip, whom he believes to be Ginny’s parents. Then Ginny shows up. Hilarious events ensue as characters grapple with a tangled web of mistaken identity and misinterpretation. Only the audience knows the real story! It’s a classic farce, played out as only Alan Ayckbourn can do! The role of Sheila is played by Delores Basile of Grosse Pointe Woods. Philip is played by Nick Szczerba of (Woodhaven), Greg is played by Matt Raya of (Sterling Hts), and Ginny is played by Annie Kordas of (Grosse Pointe Farms). 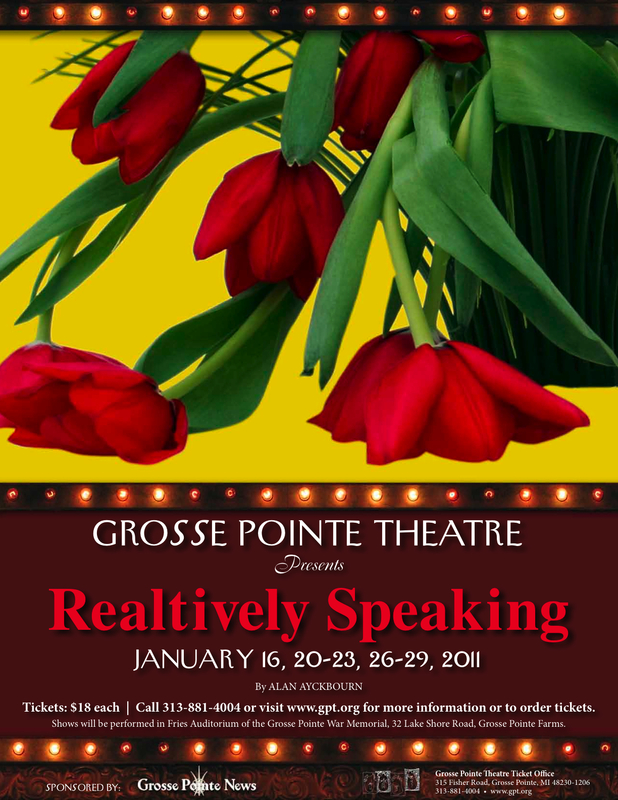 Relatively Speaking is directed by Barbara Bentley of Grosse Pointe and assisted by Mike Trudel of Grosse Pointe Park. Lyndsey Briggs, of Grosse Pointe Woods, is the producer. Following Relatively Speaking, Grosse Pointe Theatre presents The Exonerated by Jessica Blank and Erik Jensen, through its Purdon Studio Theatre program, Feb 18-20 and 26-27, 2011 at the Edsel & Eleanor Ford House Activity Building , 1100 Lakeshore Road , Grosse Pointe Shores. The next main stage production (at the Grosse Pointe War Memorial) is Dixie Swim Club By Jessie Jones, Nicholas Hope and Jamie Wooten, March 6, 10-13, 16-19, 2011, followed by The Scarlet Pimpernel, based on the works by Baroness Emmuska Orczy, book and lyrics by Nan Knighton, May 8, 12-15, 18-21, 2011. Grosse Pointe Theatre’s Youth on Stage will produce a children’s version of the musical Annie, 9th and 10th of April, 2011.